It’s Anna’s birthday and she has received presents from everyone. Everyone, that is, except Uncle Oscar. Surely he can’t have forgotten! He’d promised to send her a very special present this year. 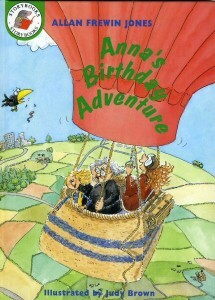 So Anna sets off in search of Uncle Oscar’s tower on a deserted Scottish island. It’s a journey full of surprises and a birthday she’ll never forget.